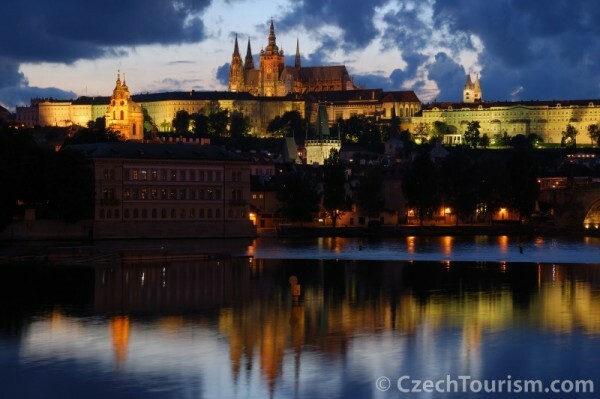 The Royal Way is one of the most beautiful historical sightseeing routes and a symbol of old Prague. It traces back the history of Bohemia, which felt the feet of many future Czech rulers on their way to be crowned. You really need to reserve a day to discover it thoroughly. However, if you skip visiting the interiors of the historical buildings along the way, the route takes about two hours. Let us now introduce it in more detail. The Royal Way starts at the Royal Courtyard, the former seat of Czech kings, which was situated on the place of today’s Municipal House (mapa). It then continues by Celetná Street (mapa) to Old Town Square (mapa) and Little Square (mapa), finally reaching Charles Street (mapa). You will pass the Klementinum (mapa), the former Jesuit dormitory and the St Francis Church at Křížovnické Square (mapa), where the king was greeted by members of the Knights of the Cross with the Red Star in bygone times. Crossing Charles Bridge (mapa), you will arrive on the opposite bank of the Vltava River at the bridge towers, where the mayor symbolically handed the ruler the key for the city gates. The Royal Way continues by Mostecká Street to Lesser Town Square and St Nicholas Church (mapa) and climbs up Neruda Street (mapa) towards Prague Castle and St Vitus’ Cathedral (mapa). The first king to walk the coronation way was Albrecht II of Habsburg in 1438, and the last was the Austrian Emperor Ferdinand V the Good in 1836. Today, the Royal Way is the main tourist route in the centre of Prague. Nevertheless, it has maintained its unique atmosphere and is definitely worth visiting with its many interesting sites. You will find more information about the Royal Way here.